From the outset of this profoundly moving though flawed recreation of the ghastly Graham Staines murder, the director and his writer Andrew Matthews, make it very clear to us whose side they are on. And that’s perfectly fine by me. A work of art is most welcome to take sides if it knows the truth. And truth in this case was this: Odhisa-based Australian missionary Graham Staines did not indulge in conversion of the locals. He was cleared of all malafide intentions by a investigative committee after Staines and his two little sons were burnt to death by goons with suspicious political affiliation. Nobody is suggesting saffron in the blood. This has gone far beyond mere suggestion. 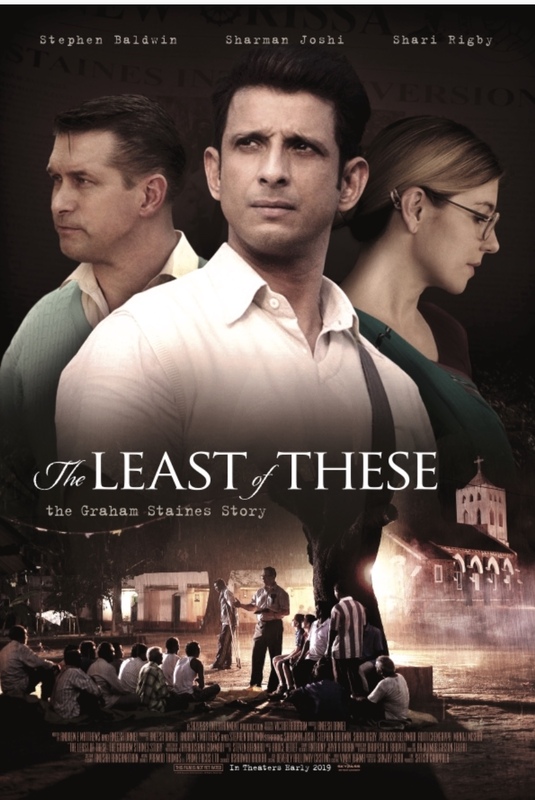 It is interesting how the director has chosen Sharman Joshi’s character of the out-of-luck desperate journalist with a pregnant wife to support, to create an arc from cynicism about Staines’ work of faith to a resounding ratification of his intentions. Sharman is, as usual, a portrait of earnest brilliance. In fact by the end of it I was so moved I felt I was watching Sagar Sarhadi’s Bazaar dispossessed into a different world. In both the films, the conscience is lulled into slumber for economic survival. “I forgive those who have done this,” Gladys Staines says when informed she has just lost her husband and two children. Such a far-reaching level of forgiveness is hard to achieve in the human context. We can dismiss it as pamphleteering. And yet this is exactly how the real Mrs Staines had reacted. What sort of a passion drives the missionaries to take on impossible odds? That’s the question I wanted to ask as Stephen Baldwin’s altruistic role of the Christian missionary filled up the screen with a sunlit dazzle. Shooting the film in rural Odhisa is just about the best way the director could have chosen to not allow the wild improbabilities of the plot (a newspaper editor hellbent on proving Staines’ conversion scheme turns out to be a leper’s son). The characters and their environment exude the stifling air of a social condition that breeds inequality and disharmony. Taking way from the authenticity are the rural character conversing in English with the journalist-hero. Since elsewhere the film does use the Oriya dialect why not let the grassroot speak in their actual tongue all the way? That apart The Least Of These has many virtues to vitiate the vice. Rural Odhisa is captured by cinematographer Jayakrishna Gummadi with a striking lack of selfcongratulations. In this week’s other release Notebook it is Kashmir and Kerala in Junglee. Is our cinema going back to its roots?But it’s not where the story unfolds that matters in The Least Of These. It’s the sheer barbarism of a religious order that championed tolerance that bothers us while watching this moving but dissatisfying film. 10 queries in 0.055 seconds.